Ever heard of Art Therapy? 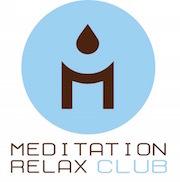 Among all the types of meditation, this has become quite popular as of late: other than being relaxing, it is also creative and fun! Find out why by reading this article. Mandala art has existed for hundreds of years. In Buddhist religion, these drawings represent the whole universe; Buddhist monks spend hours creating beautiful pieces of art by carefully arranging colored sand, only to swipe them away as soon as they are done. Most of us, however, have neither the time to create these, nor the heart to destroy them. This is why, as of late, the art of mandala coloring became quite popular. It requires little preparation with minimal cost and helps to relieve stress. 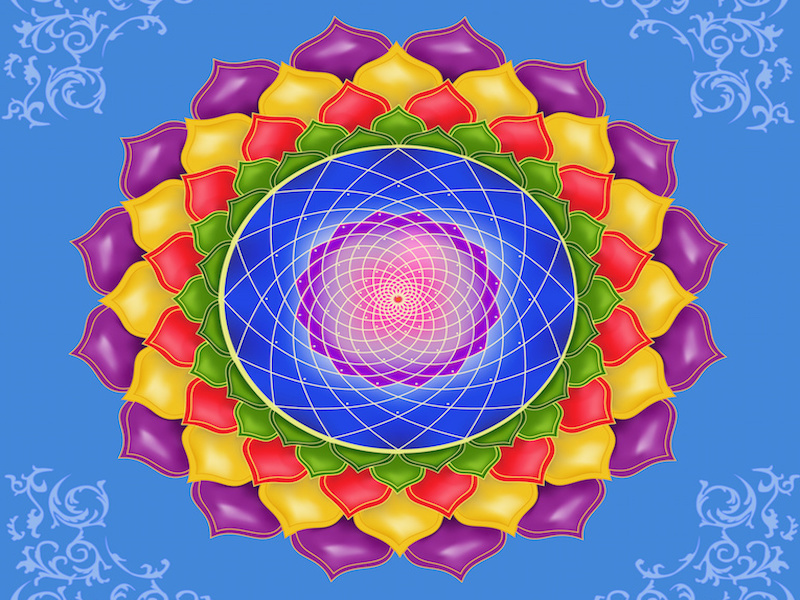 Carrying out a mandala art meditation is extremely simple! Just save the pictures below, and print them to a size of your liking. 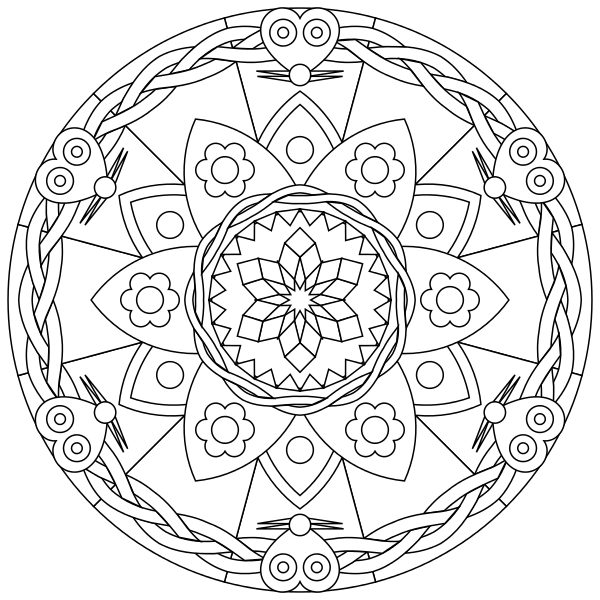 If you want to go a step further, there are many books on sale online with hundreds of printed mandalas you can color in. Once you are done, pick up some art supplies. Everyone has at least a couple of colored pencils lying about at home, but you can use all kinds of different materials such as watercolors, charcoal, and why not even highlighters! The only limit is your imagination. Follow the patterns, and start filling in the blanks. Just half an hour of slow coloring a day has been proven to reduce stress and lower blood pressure in the same kind of fashion your average meditation session would. While coloring, remember to push your feelings into the tip of your pencil or brush. Listen to the soft and relaxing scraping you create while following the creases on the paper, and enjoy how every small piece you fill in is a step closer to a larger, complete drawing. 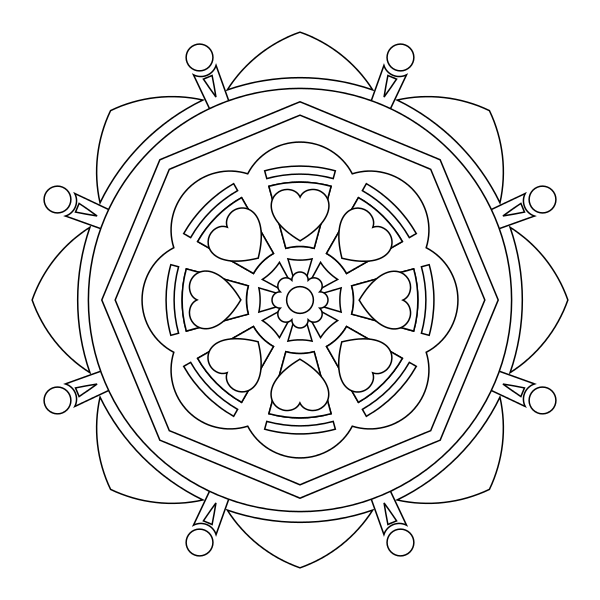 Now go on, and enjoy the art of coloring mandala!